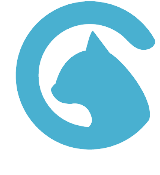 Review of Christopher Birchall. 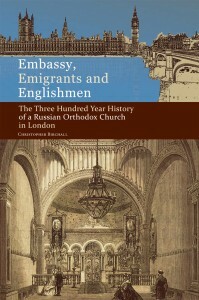 Embassy, Emigrants, and Englishmen: The Three Hundred Year History of a Russian Orthodox Church in London. Jordanville, NY: Holy Trinity Publications, 2014. In Embassy, Emigrants, and Englishmen, Christopher Birchall has produced the definitive history of Russian Orthodox presence in London. The book is unlikely to be surpassed in the near future and will be a resource to researchers whose work is related to any aspect of the modern history of Russian Orthodoxy or Orthodoxy in the West. Yet, because of the international character of the Russian emigration after 1917 and due to the author’s extremely detailed and expansive research, the book goes far beyond a typical parish history. Not only do details of other Russian (and non-Russian) Orthodox parishes in the United Kingdom find a place in this text, but much of the rich history of the Russian Orthodox Church Abroad is also included. Thus, the subtitle of the book is strictly speaking accurate but is also far too modest. This book tells the history of a community that includes its many links to its ancestral home but also, increasingly, its newly adopted home, its inhabitants, and other parishes in Europe and America. Many of the primary characters and events of post-revolutionary Russian religious experience provide a comprehensive background to the story of the London parish. In fact, Birchall’s approach of structuring the book around the key figures of Russian religious life in London makes the book much more personal and engaging than it could have otherwise been. One could call it an iconic approach to history. Likewise, the author’s personal connection to the parish works in his favor, giving him access to many sources and materials that could have be more difficult to track down for other researchers; several of more recent accounts and photographs included were contributed by Birchall himself. Readers will form vivid impressions of well-known and fascinating figures such as St. John Maximovitch (Chapter 14), Metropolitan Kallistos Ware (Chapter15),Archpriest Eugene Popoff (Chapters 4 and 5), Archpriest Michael Polsky (Chapter 11), and Archbishop Nikodem Nagaieff (Chapters 14 and 15). Yet, many prominent laypeople are also given attention, Philip Ludwell (Chapter 2), Gerald Palmer, Galina von Meck, among them (Chapter 15). Though Birchall shows an awareness of the book’s primary emphasis on clergy (xviii), the reader comes away with a feel for the parish as a whole as it goes through various changes during its three centuries of existence. One never gets the idea that this is only a clerical story. Several of the transformations that Birchall highlights are the gradual shift towards more missionary outreach and English language in the parish as more English visitors joined the church, the changing relationship with Anglicanism (Appendix 1 Guidance from Metropolitan Philaret of Moscow regarding English Converts to Orthodoxy is of particular interest), and the effect of the evolving political situation in Russia, especially as it effected the relationship with Patriarchal parishes. Since the study is primarily concerned with the emergence and evolution of the non-Patriarchal Synod-led parish in London, the Russian communities in England associated with the Patriarch in the Soviet Union do not feature prominently, which limits the scope of the narrative. Yet, Birchall admits this limitation (xix) and, despite of it, often says a good deal about these communities throughout the course of the book. In the same vein, the text successfully avoids being overly polemical or critical of other Orthodox communities in the United Kingdom, showing charity and objectivity when describing them. The book is filled with records of sermons, newsletters, parish council minutes, records of conversations, architectural plans, and many other unpublished materials. Some of these sources are quoted at length, bringing the book to a hefty seven hundred pages including appendices and index. The casual reader could occasionally feel adrift in a sea of details but, due to the well-organized nature of the text, those who are looking for specific information related to Russian Orthodoxy in London can easily find it, though they will not benefit from seeing the entire story of the parish unfold, culminating in its recent full blooming: a new temple built and filled with a young and thriving membership. This book has obviously been a labor of love for Birchall, who has painstakingly reconstructed the story of a community and its many transformations using an enormous amount of unpublished documents. This dedication will also benefit all future researchers of the Russian Orthodox experience outside of Russia. Though Birchall makes “no claim to completeness” (xviii), he does a good job of approximating it and comes as close as possible to a comprehensive view of this community and its many international links. Every parish should be so lucky to have such an outstanding chronicle of its memorable figures, transformations, struggles, and triumphs.